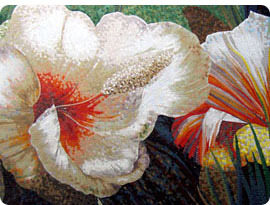 Hakatai Enterprises began importing and distributing glass tile in 1997. Since that time, the name Hakatai has become synonymous with beauty, affordability and innovation in the glass tile industry. With a passion for design and a commitment to customer service, Hakatai supplies quality glass tile products and trend-setting custom mosaics to both the commercial and residential sectors. Our broad customer base includes architects, contractors and builders, interior designers, and dealers, as well as homeowners, and our tile can be found in hotels, casinos, retail stores, restaurants, spas, and homes throughout the country. Our experience means that we have the resources to handle any job, regardless of size or type, as well as provide quick, efficient turnaround times on orders. Our emphasis on customer service means that we work for you to provide the information that you need, quickly and accurately, including immediate responses to inquiries on stock levels, pricing and freight estimates. Where does the name "Hakatai" come from? Hakatai (pronounced ha-keh-tie) is the Havasupai Indian tribe’s name for the Colorado River, and Hakatai shale is a geologic layer in the Grand Canyon. The president of Hakatai Enterprises, Marshall Malden, developed a deep affection for the Grand Canyon’s unparalleled beauty during many years of backpacking in its remote areas. Hakatai Enterprises was selected as one of the 100 Best Companies to Work For in Oregon for 2007 and 2008 by Oregon Business magazine. Hakatai Enterprises was honored as one of the 100 Best Green Companies to Work For in Oregon in 2009 by Oregon Business magazine. Hakatai Enterprises is a proud member of Southern Oregon Regional Economic Development, Inc.